We are working with sports coaches from Jamie Carragher's Academy. 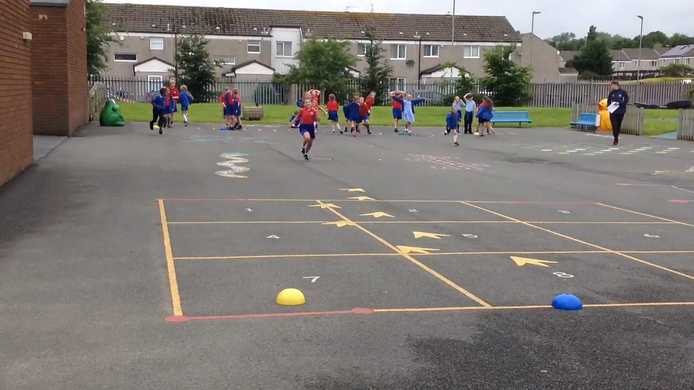 Using fitbits every PE lesson, we are tracking how many steps we take and how many calories we burn each lesson. 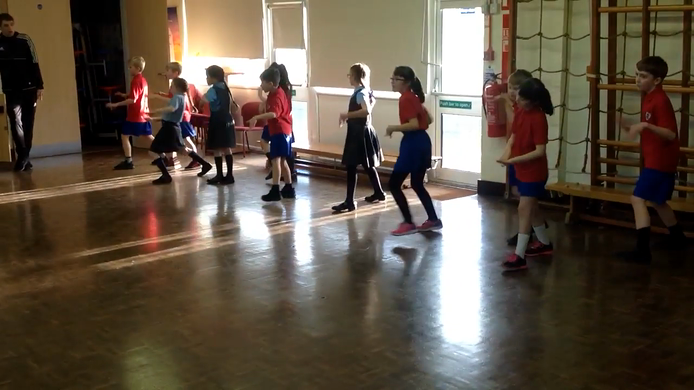 We have been looking at the rugby Hakka dance in our PE lessons. 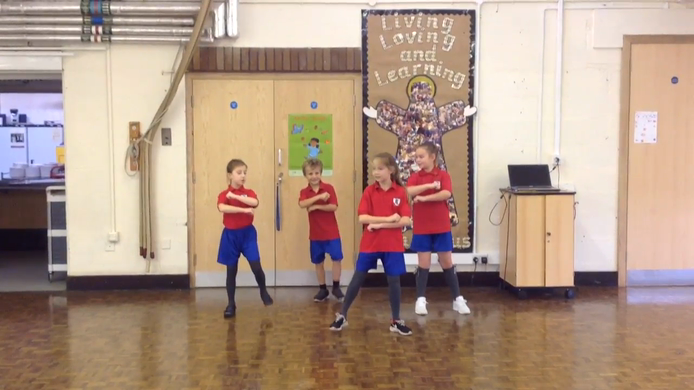 We have had a go at creating our own version of the dance. 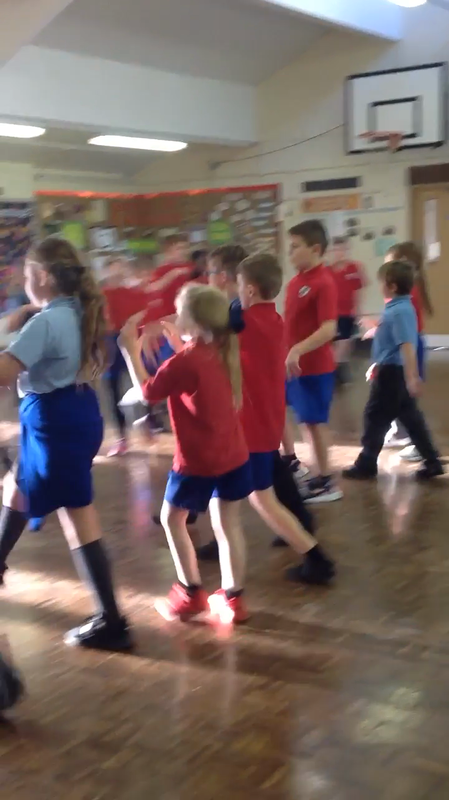 We paired up with year 2 children during PE. 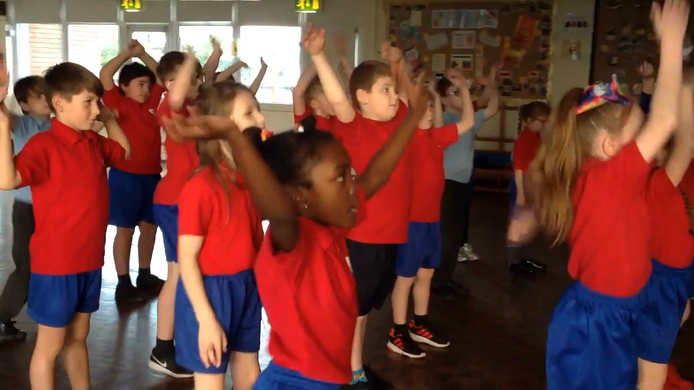 We each had a buddy and showed them how to warm up properly and how to use the gymnastics equipment safely and effectively. 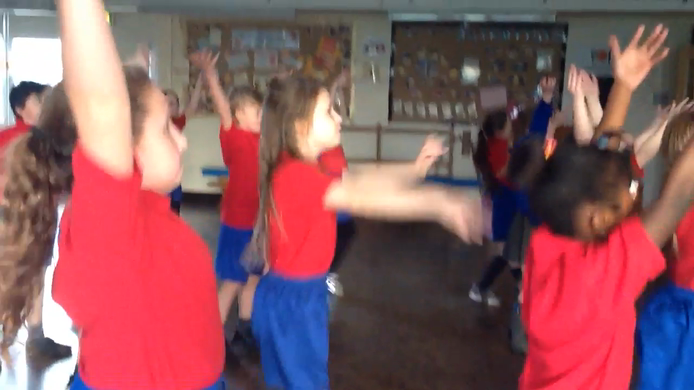 We all really enjoyed this lesson! 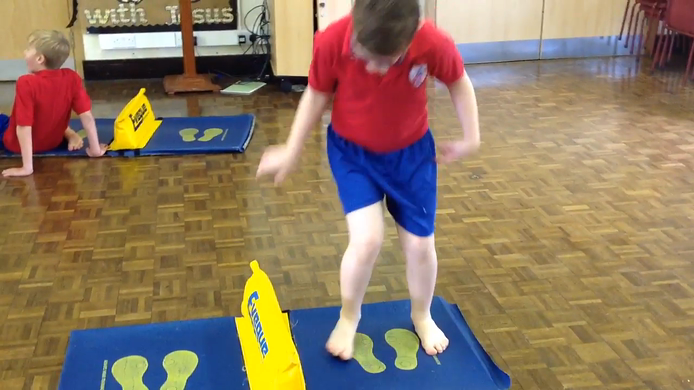 Year 4 completed a tough obstacle course in order to raise money for CAFOD. 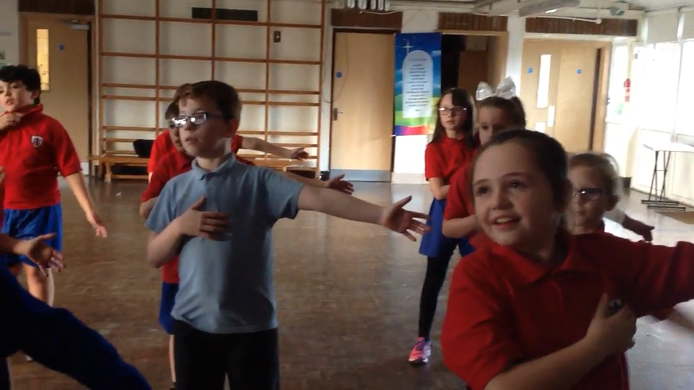 Well done to all children involved and a huge thank you to every one who sponsored the children to complete the challenge.